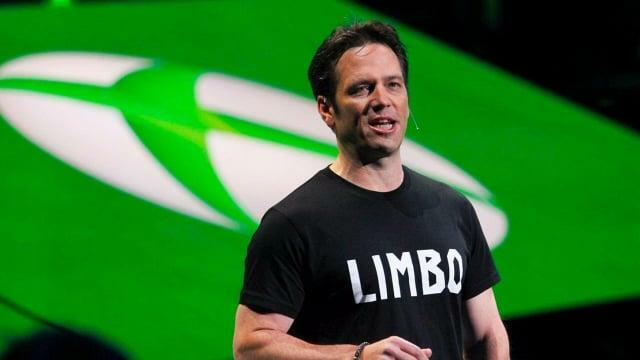 Head of Xbox Phil Spencer in an interview with Stevivor stated that when Don Mattrick was running the Xbox division the goal was to sell 200 million Xbox One consoles. "The goal that the team had was to figure out how could we sell 200 million game consoles," said Spencer. "We’ve never seen a console sell that many units. The biggest individual console, the PS2, did 120 million or something like that. "The approach the team took was people are moving to OTT Video Services [over-the-top, like Netflix and Stan] and television’s getting disrupted — and if we could build a console that could be at the center of this transition and really embrace not only people playing video games, but also people with the changing habits in television, you really take the console market and the gaming market and you expand it potentially." The PlayStation 2 reached 150 million units shipped worldwide as of January 31, 2011. "We’ve got to do things around the console, like the HDMI pass-through, having voice," he continued. "In order to have voice, you have to have Kinect, the IR Blasting to let it control everything in the house. We’ve got to start up building TV content as a first-party capability. "I look at all of those and from a pure business standpoint and goals, they’re all completely sound ideas. It’s not like somebody was out with evil thoughts or something. It’s a rational approach. Me, I’ve been on the Xbox since we launched the original Xbox. I’ve played video games my whole life. I still play video games all the time. That’s what I do." Spencer added that when he came in to run the Xbox division his main goal was to focus on the games. "When we came in after two-and-a-half years ago and started running the Xbox program, I centred us back on not trying to become something other than a game console," he added. "You don’t earn the right to be relevant in other categories of usage for the console until you’ve earned the gaming right, so let’s go make sure that’s what we deliver. "We needed to make sure other features that we’re building are really embracing the games and gamers that are out there in the game development community and that our console is for them first,” he continued. “I’ll say when we look at what people do on the console today, video usage is as high as game usage, so it’s not like people aren’t watching YouTube and aren’t watching Netflix and Amazon and anything else that’s there, but I still think that we have to succeed with gamers first before we get any permission to go do anything else." "I think that this has been a transformation in the company as well," said Spencer when asked about Xbox Play Anywhere. "The idea that video games are a category that Microsoft should go be in a whole number level, full support, it only happened a number of years ago. We started Xbox because we were worried about the living room; Xbox became ‘how do you shore up computing in the living room?’ The people who were building it were clearly building for a video game console, but I’d say the company’s focus was a little more broad than that. "Today, if you sit down with Satya Nadella, the CEO, Amy Hood, the CFO of the company, they will talk about gaming as a core capability of Microsoft, not gaming as a bridge to somethings else, but gaming into itself,” he continued. “It’s not just Microsoft, you see Google investing time in gaming, you see Facebook buying Oculus, you see Amazon buying Twitch, you see multi-billion dollar transactions going on at the gaming space, not so you can go be something else, but because gaming is a very high engagement, high monetization use on any electronic device that you see." 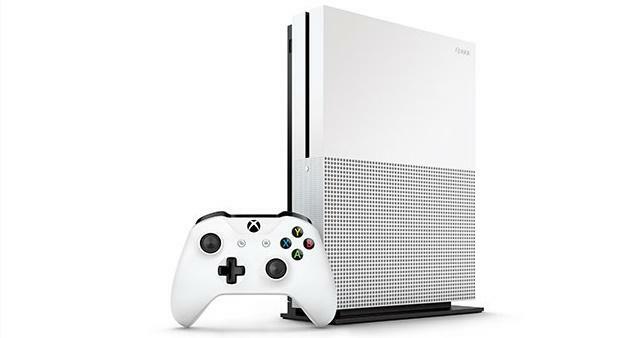 The release of the 500GB and 1TB Xbox One S helped push Xbox One sales up by 989 percent week-on-week in the UK, according to GfK. 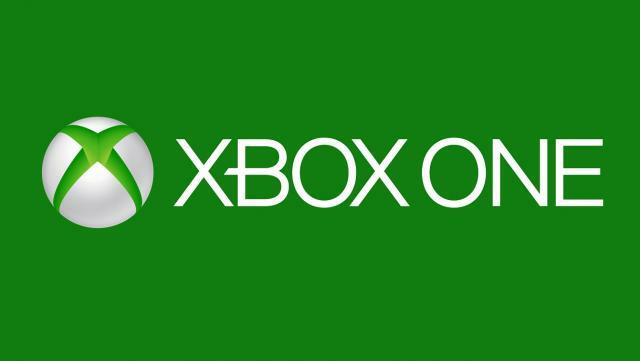 Xbox One sales are up 76 percent year-on-year, for the week ending September 24. Xbox One accounted for 71 percent of hardware sold for the week, compared to 19 percent for the PlayStation 4. "It’s great to see how popular both the Xbox One S and the FIFA 17 Xbox One S consoles are with fans, not just over the last week but since the Xbox One S was released in August. 4K video streaming and 4K UHD Blu-ray have been extremely well received and we believe there is no better value right now for those looking to upgrade their console,” Xbox UK marketing boss Harvey Eagle told MCVUK. "It’s a fantastic time for gamers with the range of upcoming titles appealing to all audiences, from Gears of War 4 to Skyrim Special Edition and the release this week of the acclaimed Forza Horizon 3. 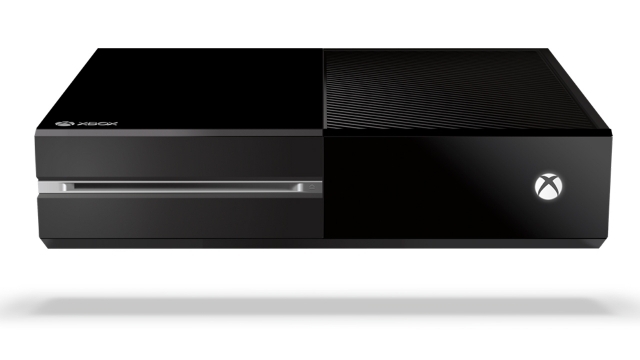 There’s never been a better time to own an Xbox One." Comparing the release 500GB and 1TB Xbox One S models to the launch of PlayStation 4 Slim, Microsoft comes out on top. The Xbox One S outsold the PlayStation 4 Slim by 361 percent. 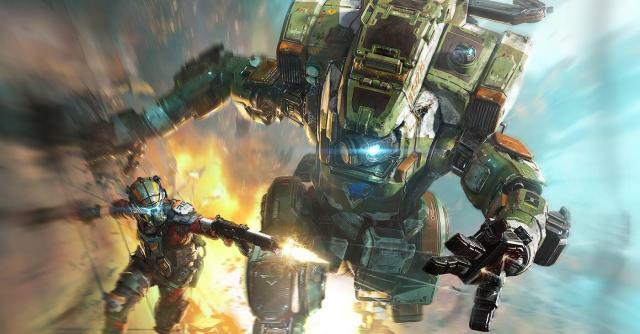 Respawn Entertainment boss Vince Zampella tweeted Titanfall 2 has gone gold. The development for the base game has been completed and discs have begun to be printed. Titanfall 2 releases for the PlayStation 4, Xbox One and Windows PC worldwide on October 28. Microsoft released a 22 minute gameplay walkthrough of the prologue in Gears of War 4. "Join The Coalition's Rod Fergusson and Matt Searcy for the opening Prologue for Gears of War 4 and play through the first 20 minutes of the game. Revisit the Sera of Gears past and learn more about the Sera of today, 25 years later." Gears of War 4 launches worldwide on October 11th for the Xbox One and Windows PC. 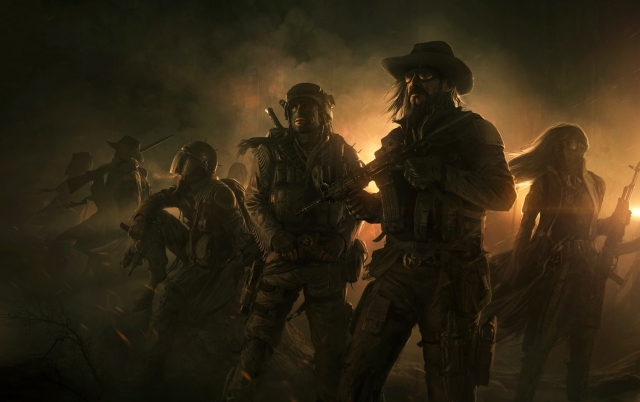 Developer inXile Entertainment announced Wasteland 3, a sequel to Wasteland 2, for the PlayStation 4, Xbox One and Windows PC. The game will be crowdfunded using a Fig campaign that starts on October 5. The goal is set at $2.75 million. A large number of excellent composers tend to be forgotten when people talk about the best video game composers of all time. The reasons for this often vary wildly, from the composer in question having composed mostly for poorly received games to their being overshadowed by contemporaries who happened to work with the same developers and on the same games. Masashi Hamauzu is the perfect example of the latter; he is quite often not even in the conversation when it turns to all-time greats. Why, exactly? Well, Masashi Hamauzu has had the unenviable task of composing music for Squaresoft and Square Enix since 1996 whilst often being seen as a second-string composer by a company that has famously employed the likes of Yoko Shimomura, Yasunori Mitsuda, and of course Nobuo Uematsu, among many others. Still, despite being constantly overlooked in favour of the aforementioned composers, Hamauzu is undoubtedly one of the most talented and underrated veteran composers working in the industry today. Hamauzu's career had a very similar start to many of the people we've previously covered in this article series. He studied music in school, and upon graduating from university was quickly hired by Squaresoft as an in-house composer in 1996. During his first year at the company Hamauzu provided a handful of tracks for two small profile releases - Front Mission: Gun Hazard for the SNES and Tobal No.1 for the PlayStation. By composing music for these two games he immediately found himself working with several notable composers, including Uematsu, Mitsuda, Shimomura, Junya Nakano, and Kenji Ito. While his contributions to these games were fairly marginal, the quality of his work would soon result in him landing his first solo composition role, that being for the 1997 Japanese-only Chocobo No Fushigina Dungeon, which was the first Final Fantasy spin-off title to star the series' long-time mascot. With his first solo composition behind him, Hamauzu quickly began to rise up the ranks within Square. 1999 brought us his next notable work when he created the soundtrack to SaGa Frontier 2. The PlayStation RPG's soundtrack was really his first major work and proved to be the first of his great soundtracks as well, coming just three years into his career as a video game composer. He was by this stage already marked for great things within the company. In 2000, Hamauzu found himself working on the next main installment in the developer's flagship franchise, alongside with Nobuo Uematsu and Junya Nakano – Final Fantasy X. Both other composers were chosen for the job by Uematsu himself. Hamauzu was now being trusted to compose music for Square's most important franchise, essentially following in the footsteps of one of the most revered legends in the business. While Uematsu was still undeniably the main composer for the game, Hamauzu provided almost a fourth of its music and was responsible for some of Final Fantasy X's finest pieces of music in my opinion. Hamauzu's next score saw him return to the SaGa series in 2002 when he composed the music for Unlimited Saga on the PlayStation 2. The game itself is generally considered to be mediocre at best, but Hamauzu's music provided it with one of its few strong points, combining various different genres together to create something truly memorable in an otherwise forgettable game. 2004 would be a landmark year for Hamauzu because, following the departure of Nobuo Uematsu from Square, he became the company's new leading composer. His first project in this role was the soundtrack to 2005's Musashi: Samurai Legend, which he composed together with his increasingly frequent collaborator, Junya Nakano. Additional contributions were also made by a composer duo known as Wavelink Zeal. The following year he created the soundtrack to the highly anticipated Dirge of Cerberus: Final Fantasy VII. Unfortunately, the game proved to be fairly unremarkable, especially in terms of gameplay, which showed the developer's lack of experience in making shooters. The story was an interesting continuation of Final Fantasy VII's, and the music ranks comfortably amongst its better aspects, so while the game may have been a disappointment there were still aspects to it that I definitely found enjoyable. Hamauzu would then go on to compose music for two significantly smaller profile releases in 2008 - Oolong Tea Story and Sigma Harmonix - neither of which were released outside of Japan. In general, finding any information about Oolong Tea Story when researching for this article was actually very difficult, although some of Hamauzu's compositions for it can be found online. Hamauzu would then be assigned to compose music for his most high profile game yet – Final Fantasy XIII. This effectively cemented his status as Square Enix's leading composer. The mixed reception Final Fantasy XIII received upon release is now notorious, but as with many of his previous scores, Hamauzu's music for the game is excellent. It may not be quite on the same level as some of the series' best soundtracks, but the music is worthy of the high standards expected of the series. Soon after the release of Final Fantasy XIII Hamauzu announced that he would be leaving Square Enix and founding his own studio called Monomusik, which is basically just his own personal studio. Despite this he has remained closely tied to Square Enix and has composed numerous soundtracks for the developer ever since, while also working with other developers at the same time. His first video game projects as a freelancer were released in 2011, starting with the launch of a game called Music Gungun 2. That same year he also arranged the music for Final Fantasy IV: The Complete Collection on PSP, provided some of the music for Half-Minute Hero: The Second Coming, and then returned to compose music for Final Fantasy XIII-2, this time collaborating with Naoshi Mizuta and Mitsuto Suzuki on the soundtrack. 2012 would see him continue working for Square Enix on a pair of Final Fantasy projects. The first of these, Lightning Returns, marked the end of the FF XIII trilogy, and once again he found himself working alongside Mizuta and Suzuki on the score. He was also involved in the HD remasters of Final Fantasy X/X-2, rearranging most of the original soundtrack with Junya Nakano. In 2014 Hamauzu was one of a number of composers who contributed arrangements for Super Smash Bros. for the Nintendo 3DS and WiiU. That same year he also composed music for an iOS rhythm game called Groove Coaster, again with various other composers. The following year he worked on two games. The first was a single track called The Ether for a little-known game called Chunithm: Seelisch Tact, which also included single tracks contributed by high profile composers like Uematsu, Mitsuda, and Shimomura. His other work in 2015 was the soundtrack for an RPG called The Legend of Legacy for the 3DS. Since his debut as a video game composer in 1996, Masashi Hamauzu has established himself as one of the most versatile and talented composers in the industry today. His music is consistently of a very high quality, and despite often being overshadowed by many of his more famous peers in terms of public recognition, he has found his skills to be in constant high demand. Hamauzu's next project is also very close to release, as he composed the soundtrack to the highly-anticipated World of Final Fantasy, which is due for release worldwide in October of this year. While his music is often noted for its darker themes, the score for World of Final Fantasy seems to be a much lighter affair, which should make for very interesting listening once the game releases. While his other future projects are still unknown at this point in time, it should be safe to say that his days as a composer are far from over. His close relationship with Square Enix all but ensures that. What are your favourite songs or soundtracks from Hamauzu? Let myself and others know in the comments below, and as always, thanks for reading.